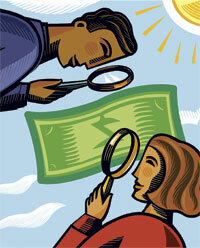 Accounting regulators want auditors to assess the risks in executive pay. Is a proposed audit standard on related-party transactions from the Public Company Accounting Oversight Board (PCAOB) mission creep, or just a pointed reminder to auditors to pay attention to the potentially corrupting role of executive compensation arrangements? In putting forward the new standard in February, the board noted studies showing that one-quarter of its disciplinary actions cite auditor failure with respect to related-party issues, including significant unusual transac tions, and that 90% of fraudulent financial reporting cases brought by the Securities and Exchange Commission involve top executives. The proposed standard requires auditors to look for ways pay agreements might lead to excessive risk-taking or actions designed to benefit an executive at the expense of shareholders.